Support women returning to school. Donate Today! We offer two types of financial aid: the Helga Rohl Encouragement Award, and the Dolores “Dee” Eldridge Scholarship. See below for details on each. Download these three forms to apply for a college scholarship, awarded annually in August; deadline June 30. Scholarships help with tuition, books, childcare or any other needed services or supplies that support a return to education. Scholarships are awarded once a year in August. On August 16, 2017 we will celebrate our 20th anniversary! Through the years we have encountered women who need special certification and other assistance to complete programs not offered in the usual college setting. In 2016, we had an applicant, Heather G., who we strongly believed deserved an award but who was not eligible for the Scholarship. At that time, the Education Fund decided to create a separate award, subsequently named The Helga Rohl Encouragement Award. Helga was a long-time member and past president of BPWNC who passed away in November 2016. As she was a tireless advocate for women’s rights and pay equity, we decided to memorialize her with this award, given to women who fall outside the parameters of our academic scholarship requirements. While the scholarship is administered by the board of the tax exempt Education Fund, the program belongs to all the members of BPWNC. Indeed, it is part of BPWNC’s mission statement to support educational opportunities for women. With the enthusiastic participation of all our members, BPWNC continues to make a difference for local women who are already working hard to achieve their goals. 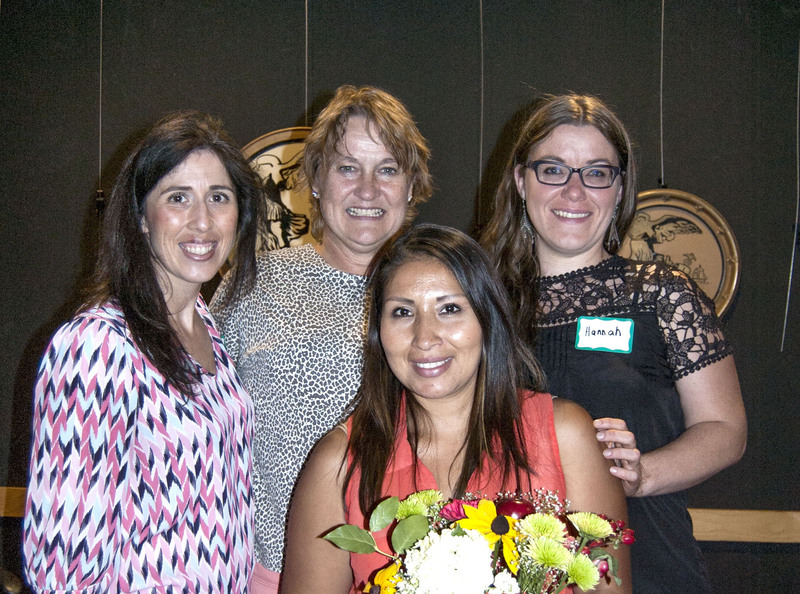 The board of the Education Fund/Scholarship program/The Helga Rohl Encouragement Award invites all members to become involved by serving on the Ed Fund board, donating money toward the scholarship award, raising funds or helping in many other capacities. Join us and give women the priceless gift of education. 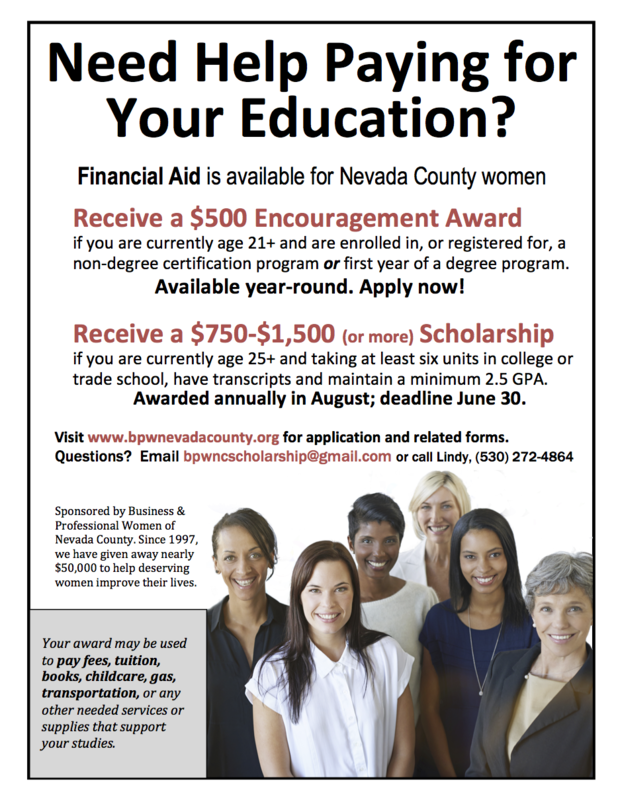 For further information contact bpwncscholarship@gmail.com or 530-272-4864.